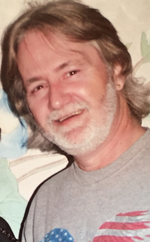 Obituary for Harold C. Bittle Jr.
Harold C. Bittle Jr. 65 of Ashland, passed away Wednesday afternoon September 5, 2018 at University Hospital Samaritan Medical Center. Harold was born in Ashland on June 2, 1953 and was the son of the late Harold C. SR. and Jo-Ann (Stuhldreher) Bittle. He has been a resident of Ashland his entire lifetime. He had worked as a machinist in several of the local industries in Ashland. He enjoyed riding his Harley Davidson, working on cars, watching old westerns and tending to his flower garden around his home. Harold is survived by his two daughters, Sonya L. Williams of Pasadena, Maryland and Sondra K. Riggs of Frederick, Maryland, six grandchildren and 9 great grandchildren; one sister, Char Godwin of Ashland and a nephew, James R. Godwin of Ashland. Funeral services will be held Monday, September 10, 2018 at 1:00 p.m. at the Denbow-Gasche Funeral Home. Burial will be in the Vermillion Cemetery. Friends may visit with the family from 11:00 a.m. until the time of the service at 1:00 p.m. Monday at the funeral home. For those not able to attend, expressions of sympathy may be made to the family by visiting denbowfh.com. To send flowers to the family of Harold C. Bittle Jr., please visit our Heartfelt Sympathies Store.